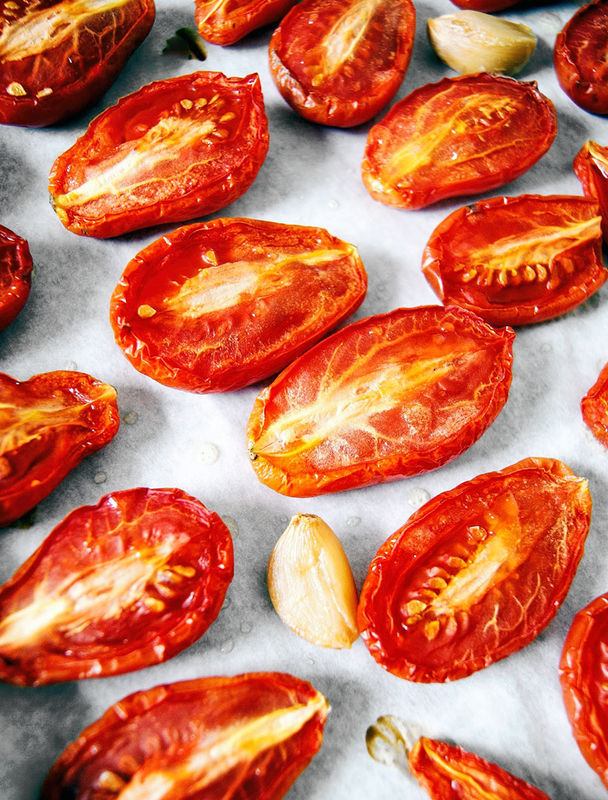 Slow roasted tomatoes are a great way to preserve tomatoes from the summer over into cooler weather. 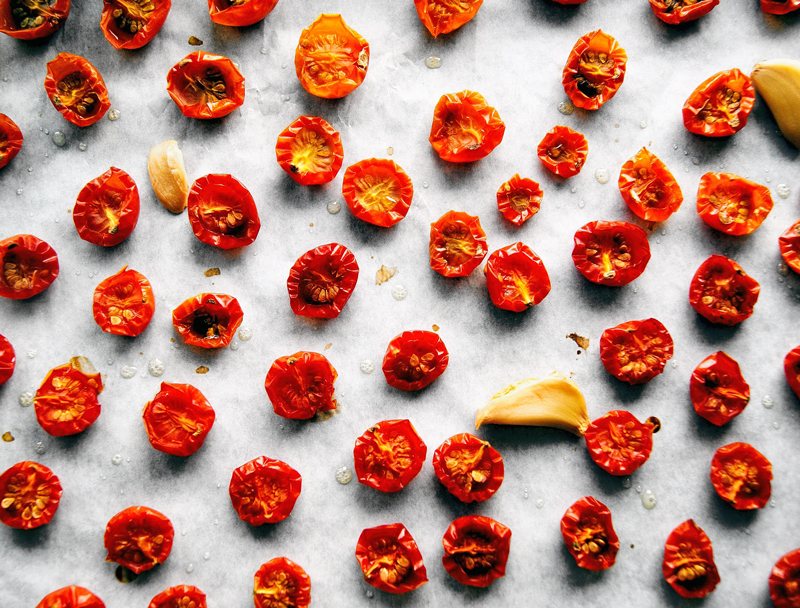 After roasting, the tomatoes are frozen and can be used in soups, sauces, and pastas, and keep their flavour. 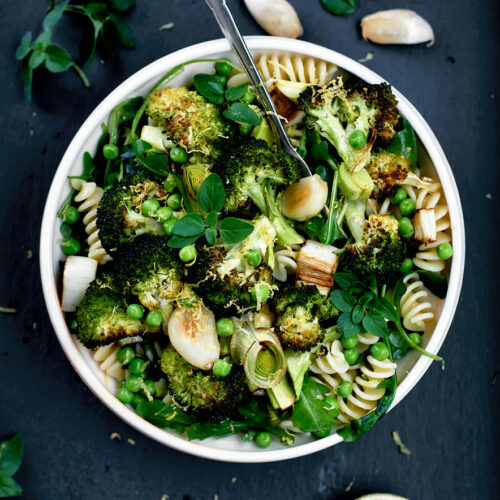 I sort of just realized the other day that there are places that have distinct seasons for fruits and vegetables, despite not having early frosts or very cold weather. Here, if you have a garden, pretty much everything is ready at the same time, and it’s done at the first hard frost. I have zucchini, cucumbers, herbs, tomatoes, beets, carrots, and winter squash all producing crazy amounts in my little garden right now. If I go by my instagram feed, though, tomato season is pretty much over in other places, and everyone’s turning to winter squash instead. It’s a weird thing to wrap my head around. The growing season is so short here. Since we’re overrun with tomatoes, I’ve been roasting the majority that we don’t eat fresh. A good slow roast in the oven brings out all the juicy tomato-yness. They freeze really well, too, so I have several bags of roasted tomatoes in the freezer. I just break a couple off to throw in curries, sauces, and soups. Freezing fresh tomatoes usually results in an icy mass of flavourless red mush (despite my mom being convinced that they taste the same after being frozen, they don’t). The roasting reduces the water content significantly, so they don’t get icy and gross after being frozen. If you want to preserve tomatoes but don’t have time for all the work involved in canning, try this instead. All you have to do is cut the fruit in half, throw it on a tray with a couple other things, and bake it for a few hours. It’s a real start it and forget about it kind of project. 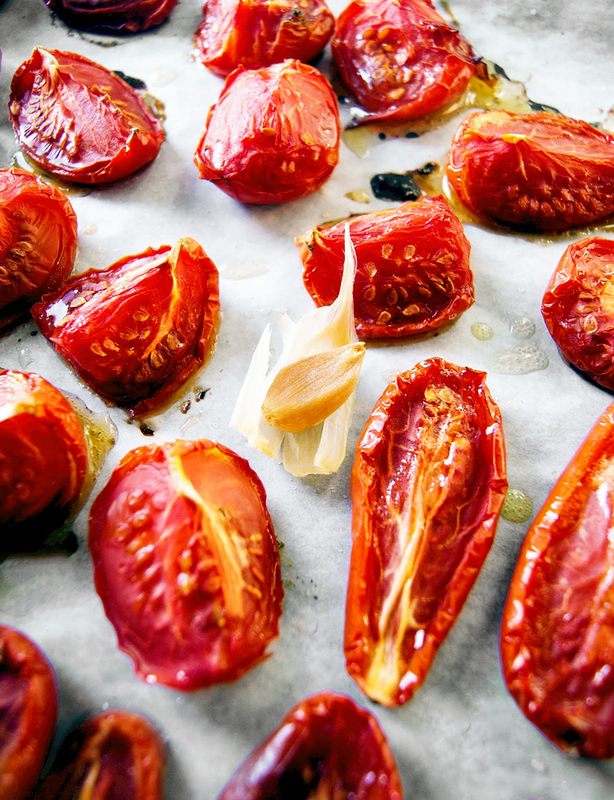 These slow roasted tomatoes can also be stored in the fridge, covered with olive oil, for a week or two. They’re excellent on sandwiches and toast. Try them on this sandwich from Traci at Vanilla and Bean, or in a roasted tomato soup, or a summer vegetable pasta. If I haven’t convinced you yet, feel free to come on over and try one for yourself. 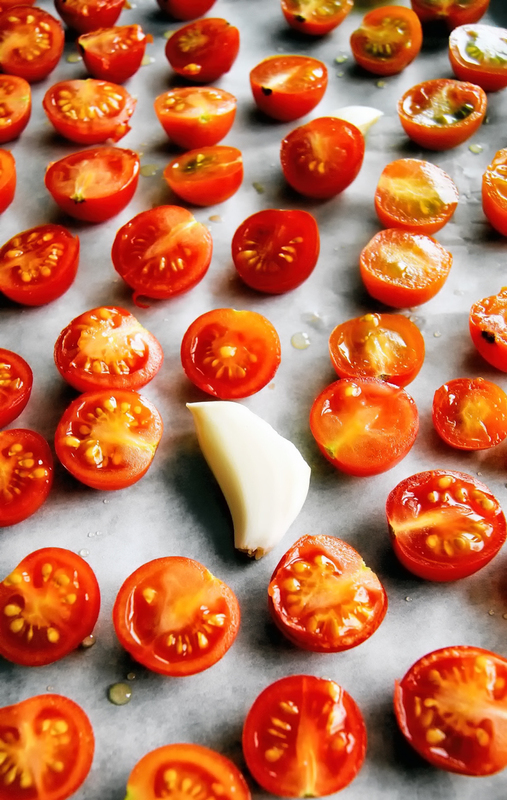 This is more of a simple tutorial than a recipe, so you can use whatever kinds of tomatoes you have, and roasting time will differ a bit based on that. Heat the oven to 225F/105C and line a baking sheet with parchment paper. Cut smaller tomatoes, like roma type or cherries, in half. Cut larger round tomatoes into quarters. 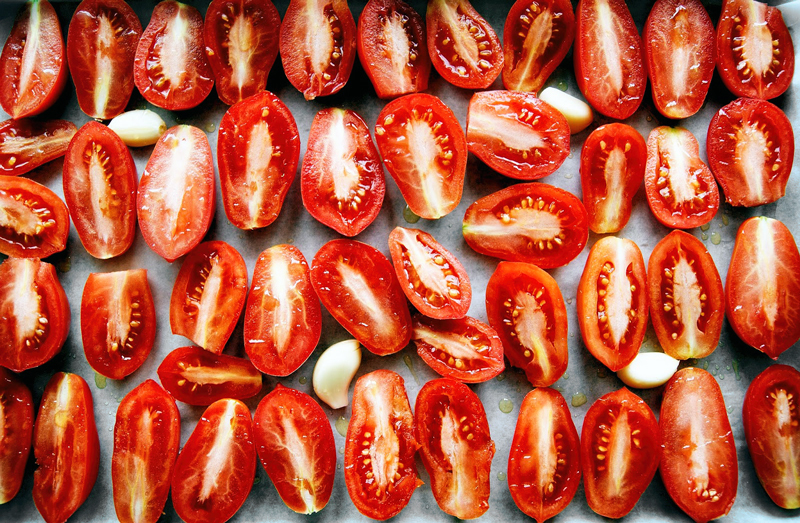 Place the tomatoes in a single layer on the prepared sheet. Tuck four or five garlic cloves in with the tomatoes (peeled or unpeeled doesn't matter. Just remember to peel them before sticking them in the freezer). 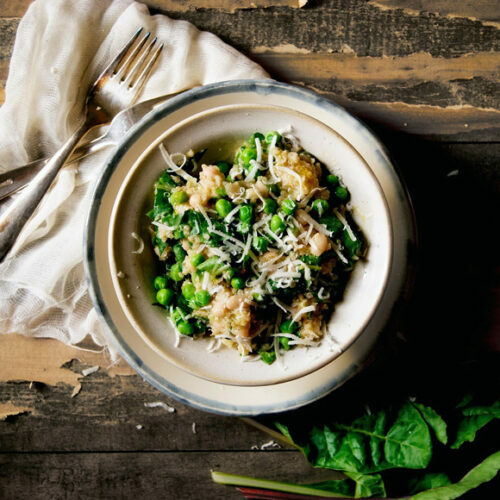 Drizzle everything with about two tablespoons of olive oil and sprinkle with a pinch of salt. Bake for about three hours for cherry tomatoes, and about four and a half for larger ones. The romas above took just under five hours. 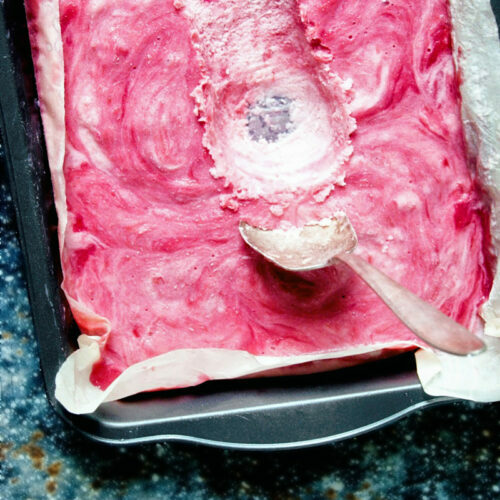 Cool, place in freezer bags, and freeze. Or layer in a jar with olive oil. If you can resist eating them all at once, that is.